An extravaganza of vintage flowers, this sparkling tiara takes inspiration from the early 1950s. 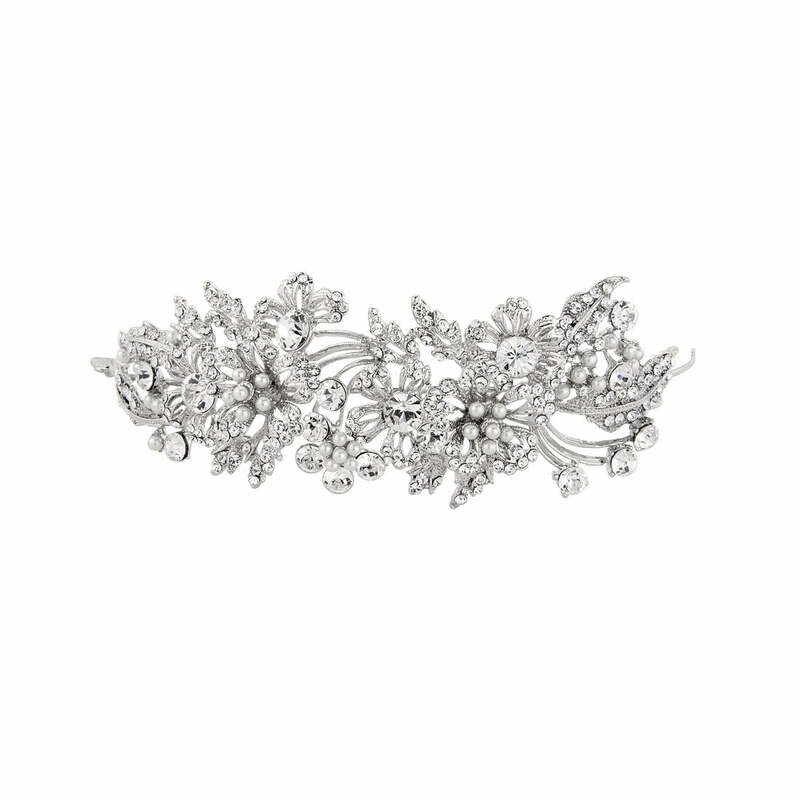 The epitome of romance, this beautiful tiara is an extravaganza of vintage flowers! Featuring an abundance of delicate open blooms encrusted with sparkling clear Austrian crystals and accentuated with petite ivory faux pearls, this is the perfect wedding headpiece for brides who adore classic tiaras which are feminine, captivating and not too formal or regal. Inspired by vintage wedding tiaras from the early 1950s, this looks enchanting worn in loose tumbling curls and adds soft, delicate charm to a chic up-do. Coordinate with a floral jewelled cuff and petite drop wedding earrings for a look that oozes vintage romance. Whether complimenting a fairytale gown or a 1950s prom dress for a city chic wedding, this will certainly cast an enchanting glow on your bridal look.